My latest and greatest band, The Kill Screens!! We do electronic rock/pop. We experiment with a lot of sounds, build it up, but keep it grounded. Check it out. Video Game: check out video game outsiders podcast here. It's a great video game podcast without all the cynicism of professional reviewers - not to mention a great community in the forums and good people to play with online. The Kill Screens Album is Finally Here! 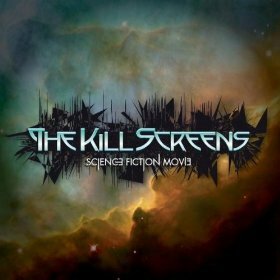 The Kill Screens is an East Coast American Electronic Indie Pop band that was founded when singer Matthew McCarthy heard an instrumental electronic song by John Jacobsen on John’s video game podcast. Matthew was inspired to record vocals for this instrumental and e-mail his updated version of the song to John, a perfect stranger. Within weeks they started recording their debut album, Science Fiction Movie, and The Kill Screens was born. The Kill Screens offered a new perspective for the duo by combining the sensibility of rock/pop songs with modern electronica, 8-bit synths, and the occasional dance beat. This was a welcome change for the two, whose musical histories, they would come to find out, were strikingly similar. John and Matthew, separately, had gigged all over Boston, Chicago, and New York in Alt Rock bands, even sharing the stage with the likes of Third Eye Blind, Five for Fighting, and others. Fate and video games brought John and Matthew together. Their love for technology, music, analog synths, 8-bit sounds, experimentation, haunting guitars, modern beats, and lush vocals shines through on every track. Yes, I know it's repetitive, it's supposed to be...think trance-like indie rocktronica. Does this work for you? As we continue writing songs to fill out the Kill Screens debut album, I'd love to hear what you think of the works-in-progress! Keep in mind these are unmastered, and early mixes - we will be tweaking these songs a lot in the months to come. JellyCar is now available (for FREE) on the iPhone & iPod Touch. Go get it, it's a fun and challenging game that shows off the capability of those devices for gaming. Also, feel free to grab these mp3's of the music from JellyCar. Song 1 is the main theme, the one that most people ask about...enjoy! The Kill Screens is a new band, a collaboration between Matthew McCarthy and John Jacobsen. Though the band name is inspired by a video games, the music is straight-up Indie Rocktronica. Check it out! We have two songs just about done, and will keep updating these sites as more is written and recorded. The debut album is slated to be titled "Science Fiction Movie" after one of the new songs. Hold Me Up (mp3) This is not a video game song...but it's slightly related. A guy who liked the Geometry Wars song contacted me about writing a song for an indie short film he's working on, and this is what I came up with. Based on the scene he described, the song should be sad (a man and woman torn apart by death) but have an uplifting quality to it, like there's hope in strength. I hope I captured the mood! And I'll put a link to the film here when it's released. Geometry Wars Will be the Death of Me (mp3) - full band / studio version available now for free!! Gadgetman007 did a brilliant job in this fan response video, he syncs up the new studio version of the GeoWars song to in-game footage and some really cutting edge special effects! The new version of JellyCar, by Walaber, is out now for the PC. 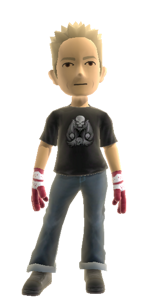 The XBLA version should be out later this year. 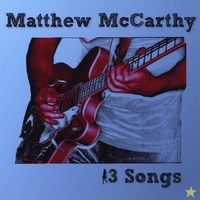 The game now features original music by Matthew McCarthy. It's quirky instrumental stuff, made to fit in the feel of this incredible game. Think Super Mario with acoustic drums and wierd noises. Geometry Wars (low quality mp3) this is just a low quality extract of the below video file, from the mic in my digital camera.